I'm back in Jakarta, Indonesia. 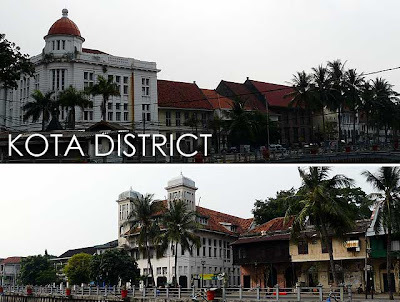 And one of the first places I visited was Jakarta Old Town (Kota Tua Jakarta), also known as Old Batavia (Oud Batavia), the seat of government of Indonesia under Dutch colonial rule. It's a heritage district which is very much intact, having been saved from any WWII bombings which devastated Philippine cities like Manila. Sadly, most of the buildings are unused and in a state of decay. But a visit to the old Kota District makes an interesting walking tour. I asked the taxi to drop me off close to Taman Fatahillah (Fatahillah Square) where the former Stadhuis (city hall) of Batavia still stands. 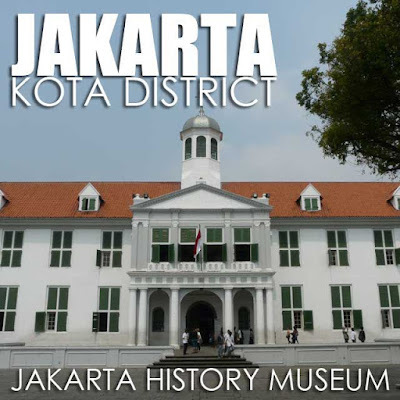 This structure built in 1710 houses the Jakarta History Museum (Museum Sejarah Jakarta), which is also called the Fatahillah Museum or Batavia Museum. Among the items you'll find in the museum are objects from the Dutch East Indies Company, historic maps, paintings, ceramics, furnitures and archeological objects from the prehistoric era. Entrance to the museum is Rp2000. 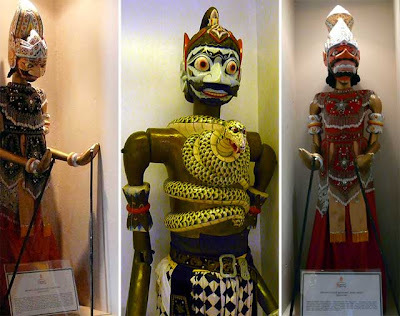 Also around Fatahillah Square are two other museums namely the Wayang Museum and the Fine Arts and Ceramics Museum. The Wayang Museum is a showcase of Javanese wayang puppetry. The current building is located in a site previously occupied by the Old Dutch Church built in 1640. The church was destroyed by an earthquake in 1808. The garden of the Wayang Museum is the former yard of the Dutch church, the burial place of Governor General Jan Pieterszoon Coen and other governors general. The current building dates back to 1912, initially functioning as a warehouse of the Geo Wehry and Co. The building got its current look in 1938 when it was adjusted to Dutch colonial architecture. 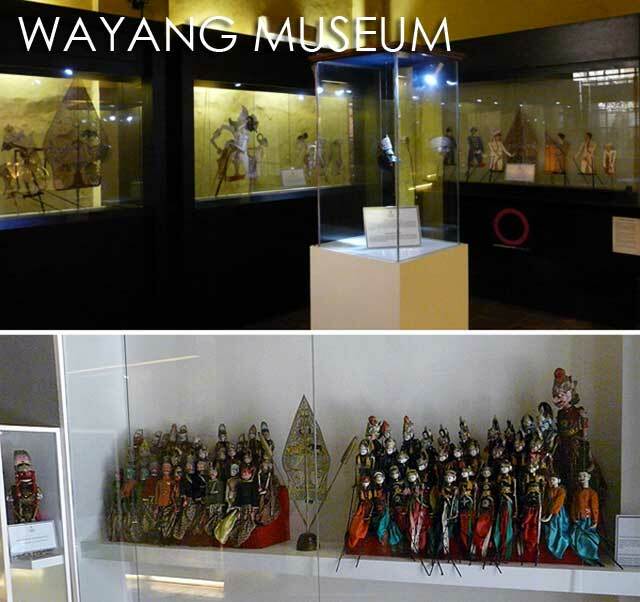 Inside the museum are various kinds of wayang, such as wayang kulit and wayang golek. Entrance to the museum is Rp2000. 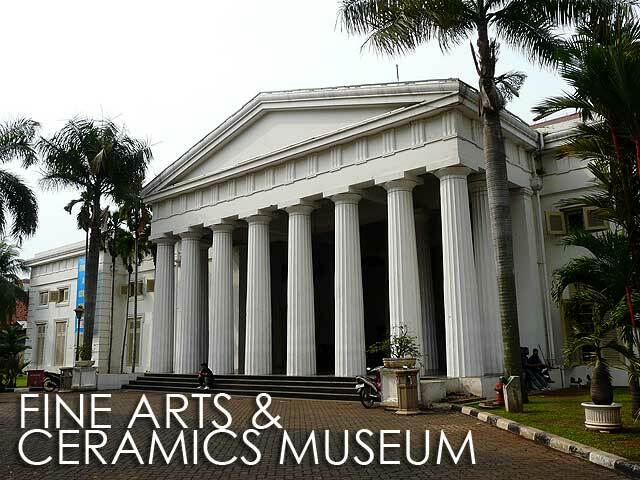 The Fine Arts and Ceramic Museum (Museum Seni Rupa dan Keramik) is a showcase of paintings of local artists and ceramics of Indonesia. The building where it is currently housed was completed in 1870, and was used as the Court of Justice. Entrance to the museum is Rp2000. 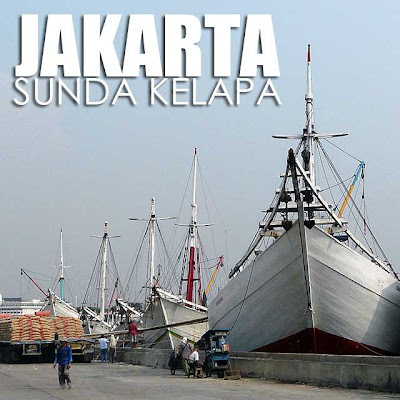 I took an ojek (motorcycle for hire) to Sunda Kelapa, the old port of Jakarta which has been in continuous use since the 12th century. 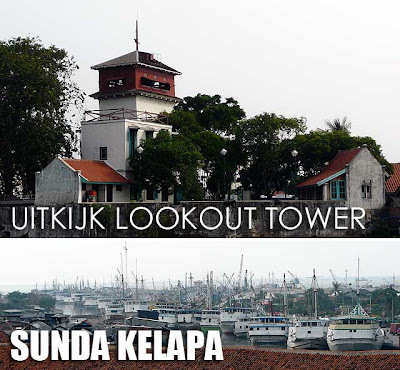 It was the main port of Sunda Kingdom of Pajajaran. 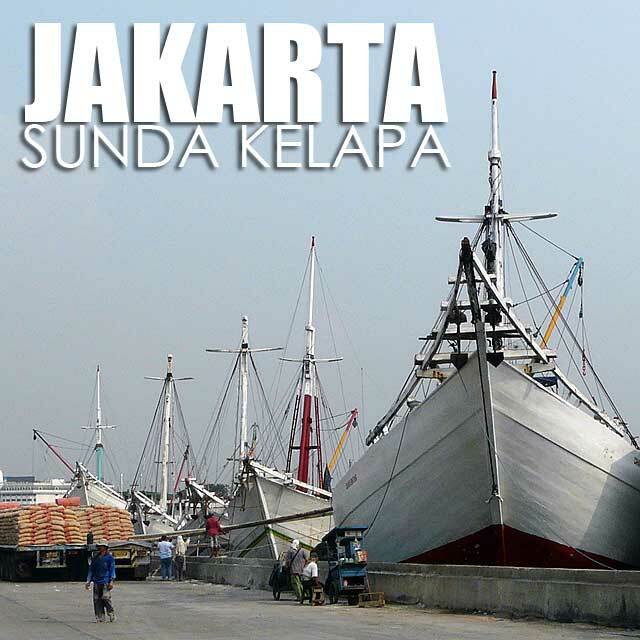 The old Sunda Kelapa port only accommodates pinisi or Makassarese schooners, a traditional two masted wooden ship. There are guides in the tourist information office who can take you up the boats. But you'll have to haggle for the guide fee. 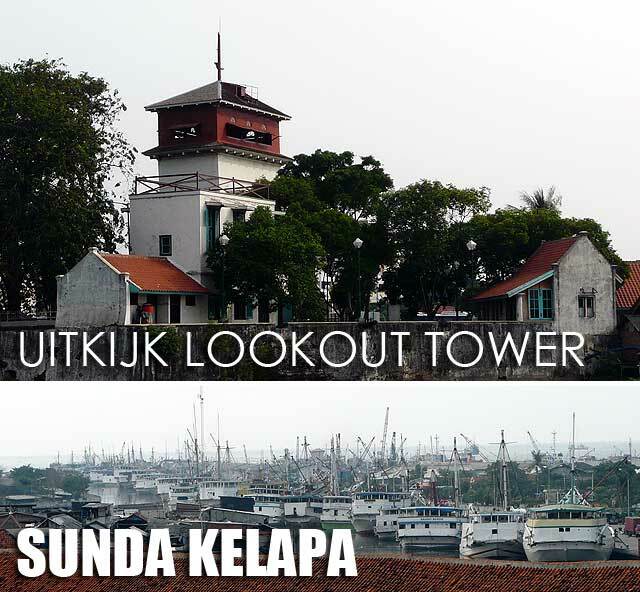 Nearby is the old Uitkijk Lookout Tower which offers a great view of the Sunda Kelapa Port. 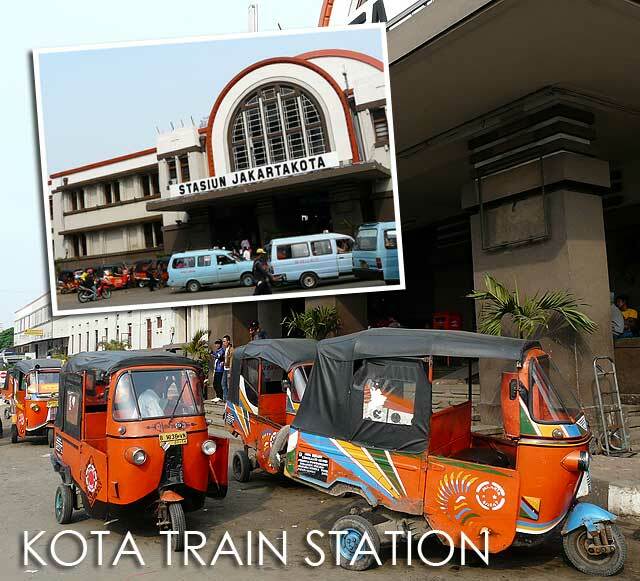 I took an ojek back to Kota (Rp10000) and was dropped off at the Jakarta Kota Train Station, another heritage landmark. The station, completed in 1870 and renovated in 1926, is a combination of Western Art Deco and local architecture styles. 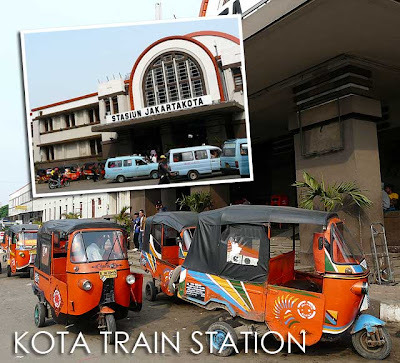 Outside you'll notice some of the traditional modes of public transport in Jakarta, the bajaj (pronounced as bajay, their local tricycle) and the mikrolet (the local version of the multicab). Walking around, you can see a lot of the buildings still standing. 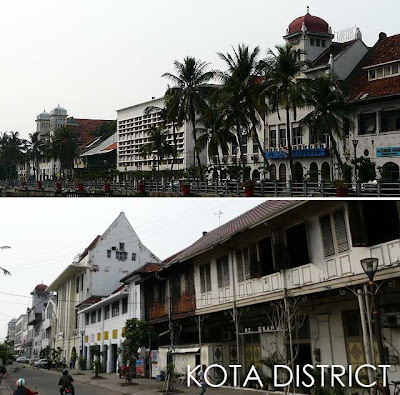 In 1972, then Jakarta governor Ali Sadikin issued a decree that officially designated the Jakarta Kota area a heritage site, as part of efforts to preserve the city's architectural heritage. Slowly, the different buildings are being restored. But the slow progress has left many of the buildings in a state of decay. At least Indonesia is lucky it still has something to restore. For Manila, not much is left. Which is why we fight hard to preserve the little that is left. It's close to impossible to bring back what is no longer there.